What a vision "Emmy" is! 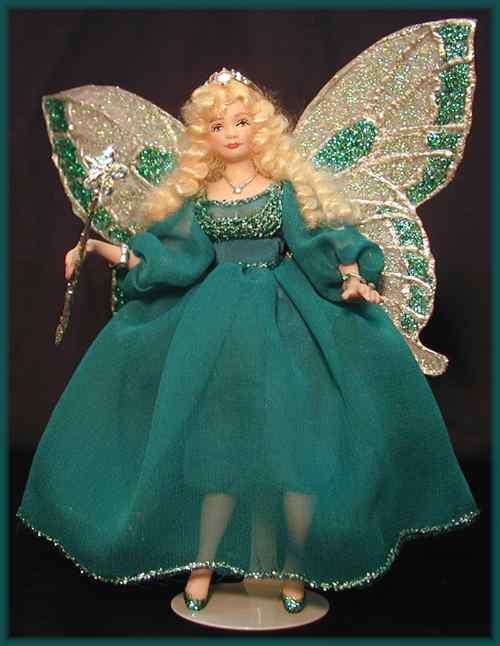 Fairy Princess Emerald wears a hand-made, hand-decorated emerald green pure silk chiffon dress with pantaloons. Her hand-made wings coordinate perfectly with the gorgeous color of her dress. Her crown is a wearable cubic zirconia fashion ring and she wears delicate fairy jewelry. Oooh, what a beauty! 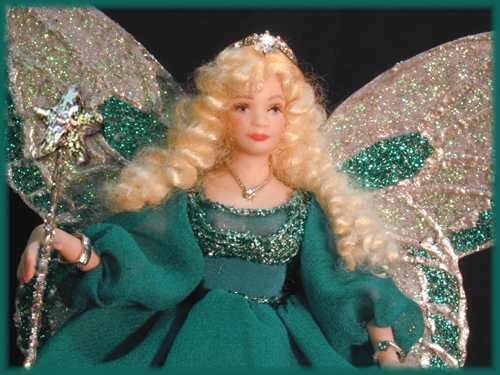 Fairy Princess Emerald is approx. 5.5" tall and has a wingspan of 5.5". 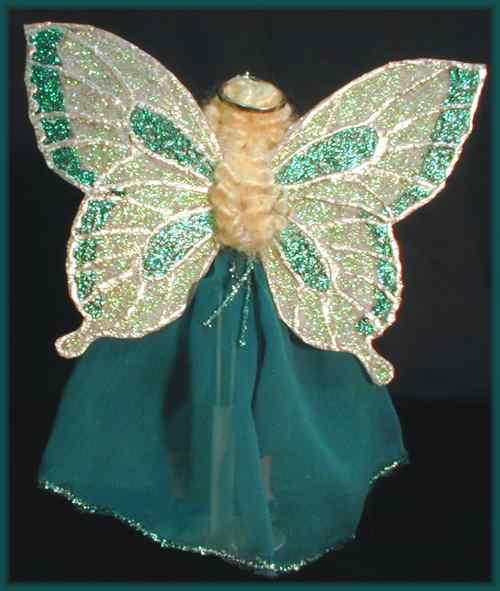 Like all JoAnnJ creations, she is a one-of-a-kind work of art and is signed by the artist. She comes with a signed certificate of authenticity.